Many small businesses and in particular sole traders struggle for time. There is a lot to balance, from accounts, marketing and networking, to setting up and running a website. There are many techniques which can help increase traffic to a website, of course we are all aware of the benefits of social media, particularly Facebook and Twitter, but YouTube is often overlooked by many businesses despite being one of the top ten most visited sites available on the internet with over 800 million unique visitors per month. YouTube can become a fantastic tool to help your business, and also save you time so you can concentrate on other areas of your business. While there aren’t any specific accounts or pages for businesses at present on YouTube, you can still set up your own channel for your company personalizing the page with your logo and company details and information about your channel and what videos you show on your channel. You can then upload a range of videos you have filmed. You are also able to embed your videos from your channel within your website using the code below each video. For example if you have an about section on your website, you could embed a video with an interview or behind the scenes look at your business on your website which can increase customer interest and sales. There are a number of ways you can use YouTube to market your business, and use YouTube to help customers and save you time. If your business involves selling products which require assembly, video posts showing how the product is assembled can be a huge benefit for customers and can save you time answering customer queries. It also means if a customer is unsure about a purchase, they can watch your video to assess the product before and after assembly. This can apply to most businesses, if you sell products you could show them in action, for example if you sell clothing or jewelry you could produce videos of each product showing it being worn, this can really boost sales. If you sell furniture, some videos of your stock within a home environment being used can give your customers an idea of size and function. You could also use your channel to introduce your business and your staff members and give a glimpse of life behind the scenes of your business, this is a great way to humanize your business and connect with customers. Another idea you could utilize particularly if you make your own products, is to show the process of your products being created. This is of huge interest to customers, especially if your products are handmade. This shows the customers the workmanship and care which goes into their purchases and creates a story behind your work. 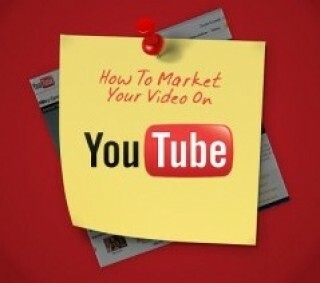 YouTube is a fantastic outlet to create some really interesting videos about your business. It means you can interact with your customers in alternative ways and present your business in a more interesting way which can be fantastic to generate interest in your business and products. You might even find people wish to share your videos, which encourages further traffic. Kirsten works for WhoIsHostingThis.com. They work with a wide range of online businesses looking to build an online presence and to make money online.